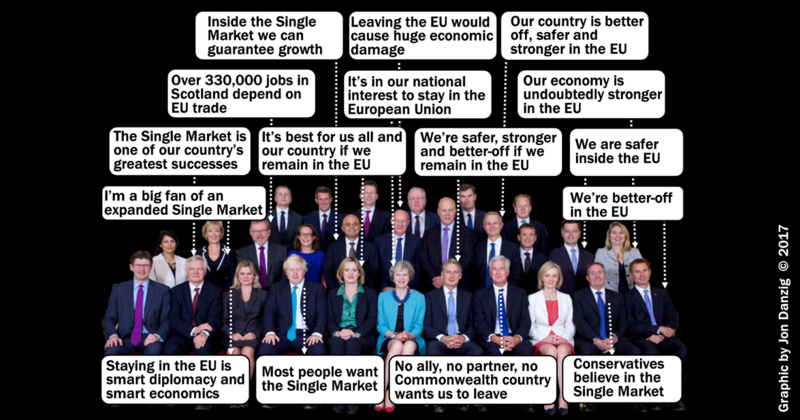 All except one of Theresa May’s first Brexit Cabinet were in favour of the EU or its Single Market prior to last year’s Referendum. 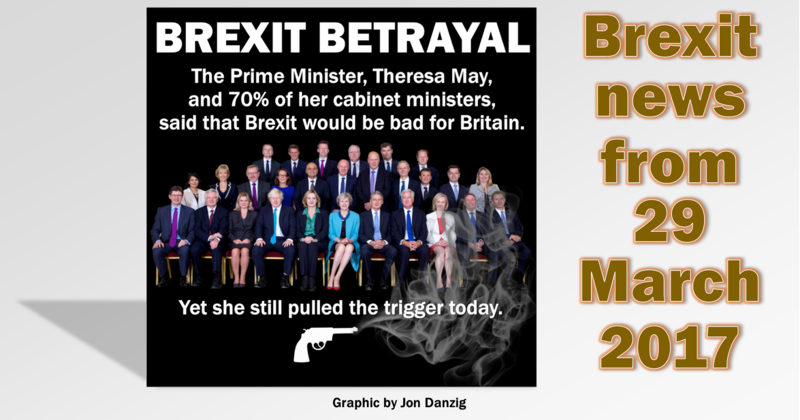 Now, all her Cabinet are taking the country on the road to Brexit, even though most of them had previously urged that such an action would cause Britain severe economic damage and put our security at risk. Of course, in a democracy politicians are allowed to change their minds. But none of the facts about the EU and our membership have changed. And Cabinet members, including the Prime Minister, Mrs May, have not provided any explanation for their ‘change of mind’. “When Russia annexed Crimea, it was only through the EU that we were able to impose sanctions; NATO couldn’t do that. And it is only through British leadership that the EU continues those sanctions today. Make no mistake – a vote to Leave would be payday for Putin. *She attends Cabinet but is no longer a Cabinet minister. ”Staying in the EU is smart diplomacy and smart economics. “Smart economics because we keep access to the European free trade area we call the single market. A single market of 500 million people, and we keep a say over the rules of doing business across Europe. 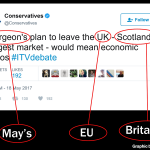 That means more jobs, lower prices, and more financial security for British families. “As part of the single market, we’ve attracted the lion’s share of foreign investment into Europe: every day, foreign companies invest £142 million here. American and Japanese companies tell me that if we quit, we cannot expect that investment or those jobs in future. 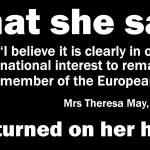 Even most of those who attend Mrs May’s Cabinet who campaigned for Leave in last year’s Referendum had previously supported membership of the EU Single Market, according to new research published in October by Open Britain. Mr Johnson previously said “what most people in this country want is the Single Market”, and he would personally vote to remain a member of it. In 1995, the Brexit Secretary called the single market “one of our country’s greatest successes” in Parliament, and previously described the European Economic Area (EEA) option as “too good” in a speech 2016. *Attends Cabinet but is not a member. • BARONESS EVANS, LEADER OF THE HOUSE OF LORDS, is the only politician attending cabinet who is not on record as supporting membership of the Single Market. Of course, politicians can and do change their minds. But if they can change their minds so dramatically, why can’t voters? Nobody knew what ‘Leave’ truly meant or involved in last year’s Referendum. As we learn more about the consequences of Brexit, why not let ‘the people’ have another vote? If Brexit is so great, what have our current political masters got to worry about? 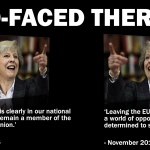 Or is the real issue that they know the electorate have now seen through the lies and false promises of the Leave campaign, and won’t be fooled again? • My graphic shows Mrs May’s cabinet after she first became Prime Minister in July last year. 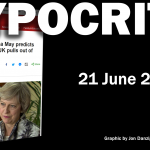 Since the election on 8 June, she promoted to her Cabinet Michael Gove as Environment Secretary and David Gauke as Work and Pensions Secretary. Ben Gummer lost his role as Minister of the Cabinet Office when he failed to win back his seat in the general election. Michael Fallon and Priti Patel resigned. • The following government ministers, who also attend Cabinet meetings but are not members of the Cabinet, campaigned for Britain to remain in the EU: Jeremy Wright, Attorney General; Gavin Williamson, Chief Whip; Damien Hinds, Minister for Employment, and Brandon Lewis, Immigration Minister. This entry was posted in Current Affairs, Democracy & Citizenship, Economics & Trade, Global & International, Media & Communications, Politics & Public Policy, Security & Defence, The EU, Uncategorized and tagged Boris Johnson, brexit, David Davis, EU referendum, Liam Fox, Theresa May. Bookmark the permalink. Next: If the talks fail, will we stay in the Single Market?